Synopsis: An eight-year old girl (Torrent) believes that she has poisoned the authoritarian father (Alterio) whom she blames for the death of her mother (Chaplin). Nine months after my last CSC post (and about six weeks after I rewatched it as part of my coverage of the Leeds Film Festival), I finally reach Cría cuervos (Fiona Noble wrote a guest post on the film back in June 2013). The delay since rewatching it in November has been due to my having too much else to do (not blog related), but truth be told I've also put off writing about the film simply because I have very little to say about it. 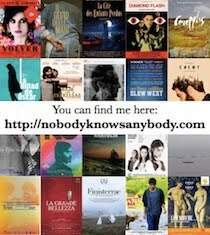 This post is therefore a case of me getting it out of the way so that I can continue with the other films, rather than a detailed analysis of what stands as one of Carlos Saura's most celebrated films outside of Spain (which I would in part connect to the fact that it is one of the few to have been widely available in subtitled form). Cría cuervos was the only one of Saura's films - apart from the dance films and ¡Ay, Carmela! - that I had seen before starting the challenge. I last saw it 13 or 14 years ago on VHS, at a point when I had seen very few Spanish films. In common with another recently rewatched classic - El espíritu de la colmena / The Spirit of the Beehive (Víctor Erice, 1973) - it's a film I find easier to admire than to like. Although I can appreciate why the two films are considered classics, both left me slightly baffled on first viewing - and even armed with knowledge of the broader context in which they were made, their (deliberate) opacity is something that I still struggle to engage with. The way that the film is structured as Ana's own stream of consciousness - with no clear distinction made between past, present, and future (the blurring aided by Geraldine Chaplin again playing more than one role) - is a continuation of the director's preoccupation with memory, and his repeated attempts to represent in a tangible form how the present is shaped by our understanding and memory of the past (as also seen in El jardín de las delicias / The Garden of Delights (1970) and La prima Angélica / Cousin Angelica (1973) - in my opinion, the latter film is Saura's most effective manifestation of this theme). Saura manages to capture some great scenes of sibling interaction (including general squabbling and evidence of the gullibility of younger siblings). The children (Ana Torrent, Conchita Pérez, and Maite Sánchez) delight in music (if you didn't already have Jeanette's Porque te vas stuck in your head, you do now) and general silliness (when they dress up in Aunt Paulina's (Mónica Randall) wigs and make-up, and enact hysterical scenes of domesticity), which acts to momentarily lighten the mood in what is otherwise a sad narrative of loss and suppression. Roni the guinea pig - a) a great name for a guinea pig, b) I had no memory whatsoever of Ana having a pet, but Roni is another key element in the realistic depiction of childhood in the form of the companionship that the animal gives to the solitary child (she absents herself from her sisters' games as often as she joins in). In the next CSC post, I will probably be going backwards because La madriguera [a literal translation is 'The Burrow' but I have seen the film referred to as 'Honeycomb'] (1969) - Saura's 6th feature - has popped up as VOD on Filmotech.